A Madame Tardiveau commissioned Salviati to make mosaics representing maritime emblems for the exterior decoration of the villa. 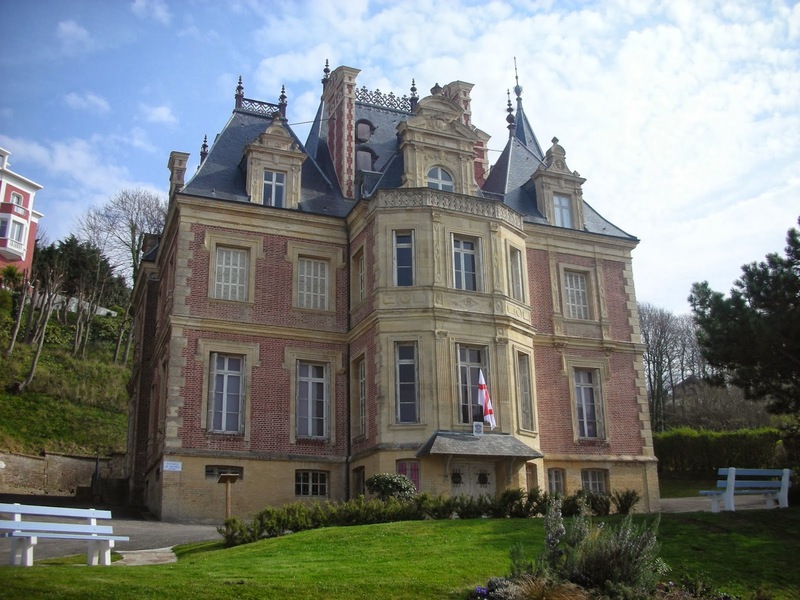 Located just a block from the English Channel in Normandy, the former summer residence of the Marquise of Montebello was built in 1865-66 in the Second Empire style by architect Jean-Louis Celinski. 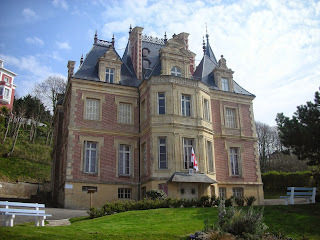 Now housing the Musee de Trouville, the organization's collection coincidentally also contains a Salviati mosaic portrait representing Titian. 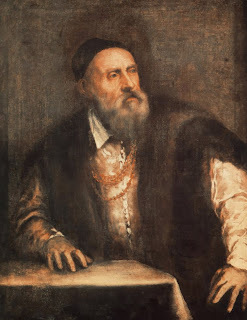 Salviati's records show that a mosaic of Titian was ordered by a Mr. Apetzeguia of Paris. Julio Jose, the Marquis de Apezteguia of Cuba studied in Paris before 1879 and he may have commissioned the mosaic. 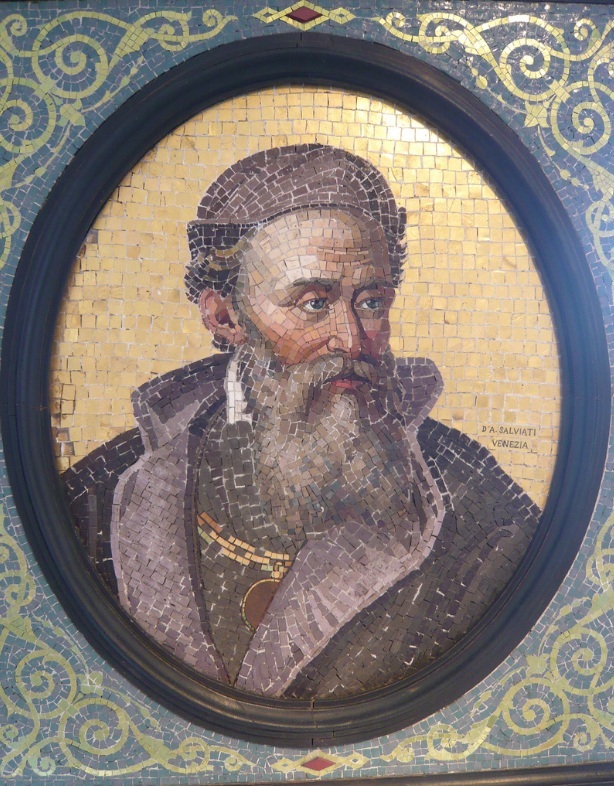 Salviati exhibited a mosaic portrait of Titian - perhaps this one - at the fall 1884 meeting of the Architectural Association in London. Barr, Sheldon. Venetian Glass Mosaics: 1860-1916. London: Antique Collector's Club, 2008. 130. "Marquis de Apezteguia Dead." New York Times. April 16, 1902.